Rediscovering and reevaluating some old memories rather experiences is probably one of the most interesting things to do. After a substantially busy and constructive six months, which totally rearranges your perspective, you tend to reevaluate few things close to you in a different manner. This time when I was back in Assam, I decided to rediscover the old travel experiences I which I used to have during my childhood. Since my family migrated to Guwahati, most of our close relatives resided in small towns within some 200 km radius from the capital city. And this time, I decided to pay them a visit, in Shahrukh Khan’s Swadesh style. I decided to leave the luxury of taking a car and use the most basic level of transport available. Thus on 16th March 2013, I was at the Guwahati Railway Station, with Bongaigaon as destination which happened to be 155 kilometers away. The train route covers almost all the small and medium sized railway stations of the Lower Assam, and also crosses over the historic Saraighat Bridge over Brahmaputra. 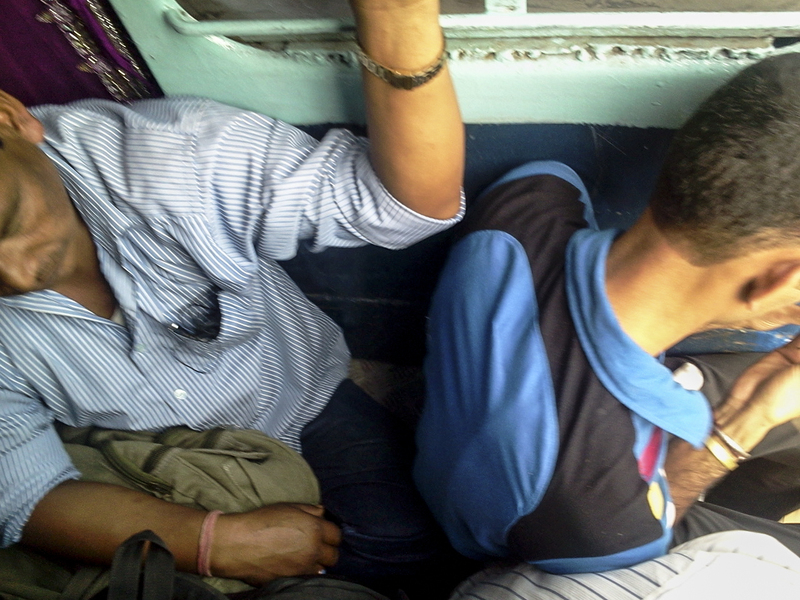 After the increased train fares, a general compartment ticket of the Howrah bound Kamrup Express cost me Rs 55. Being a person whose daily college travel shoots up to Rs 100, I was just more than happy. 8:55 was my departure time, and hence I went forward to first compartment in the quest of a nice seat. Amazing! Shocking! And why wouldn’t it be? A small compartment of 30 seats, which is already, filled by good solid 60 passengers, young, adult and old; and still we have more than 20 minutes to depart. 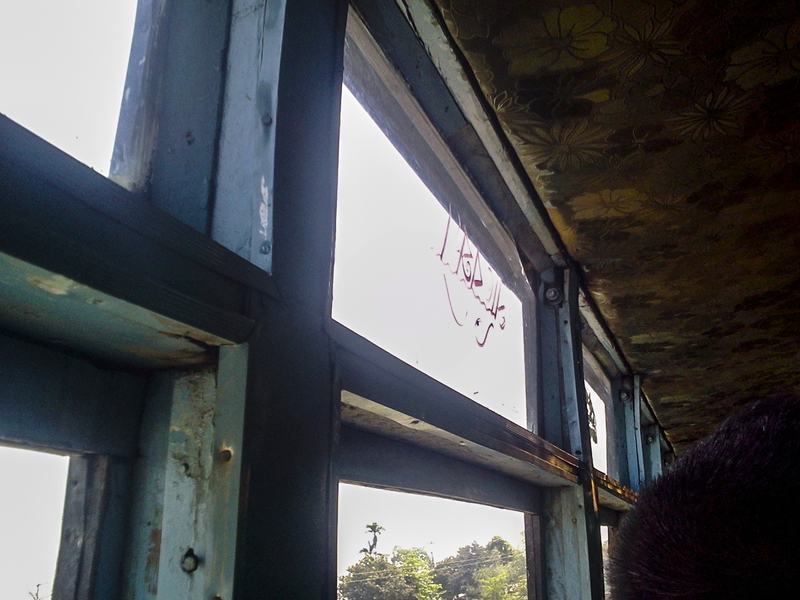 I placed myself on the door in the hope of some fresh air and view, and by the time the train embarked on its journey, the total capacity of the coach overshoot by 70 passengers. With crying babies and smoking adults, the journey started. I managed myself a little space to sit on the floor near the door and started striking a conversation with a fellow passenger, who seemed or assumed him selves to be the smartest of the small town crowd. “This is how we travel, everyday.” He said, indicating towards an empty military compartment which was reserved for the jawans. He complained about the extra luxury the Army people were enjoying while the common passengers suffered every day. “Those Army jawans see, they now have bullet proof jackets, yet they can’t kill these terrorists, and people suffer.” He added further. I did not say anything. What he claimed to be bullet proof jackets were actually just ammunition carrying pockets. I did not to correct him, but I am quite familiar to this small town ego, he won’t agree. As such, I decided to carry on with the new rediscovering experience of mine. Sitting near an open door of the fast moving train with over loaded crowed was just fine, but with addition of more passengers in each passing station made this experience from amazing to awesome. These people who are so used to these train travels can actually tell you why the train has stopped mid way, and which train is expected to pass by at this point of time at this palace; amazing. They seem to know every possible vendor at the railway station, who sells samosas to omelets. Those three hours, on the train door step, did away for my three hours of flight delay at the IGI Airport, New Delhi. An enriching experience came to an end as I stepped down at the Bongaigaon Railway station. My next destination was Barpeta, another small town in Lower Assam, which happens to be 80 kilometers from Bongaigaon, while Guwahati happens to be another 80 kilometers from the other end of Barpeta. This time, I decided that I would prefer a bus. Thus on 17th March 2013, I was at the Chapaguri Bus stand, Bongaigaon. Being a Sunday, the bus stop looked deserted and there was only one bus available for my destination. As I approached the bus, I was unsure, if to be excited or tensed. It was a half a century wooden bus, with a driver 15 years older than the bus. With no other options, and a curious mind, I took my seat. A seat with a unique window, which you could either keep open the whole or close it full.th, acceleration full. Wow, the top speed of the bus was 40 km/h. 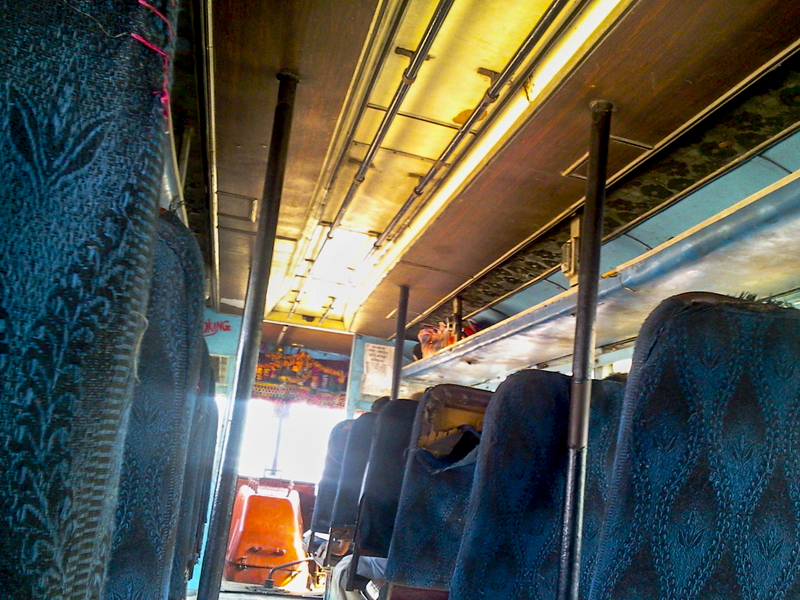 The interior of the bus is very unique. Something which can be termed as antique; it was full wooden. And there were pillars supporting the roof at random places. The seats were cushioned, but the suspension of the bus was horrible. So as we passed through some rough patch of road, we used to fly up in the air. The bus had n number of stops. People used to get on at random places and get off at random stops. The maximum fare of the bus happened to be Rs 40, which I paid. Crossing numerous small villages and a couple of big rivers on an almost pre independence era bus, I reached my destination, Satranagari Barpeta. 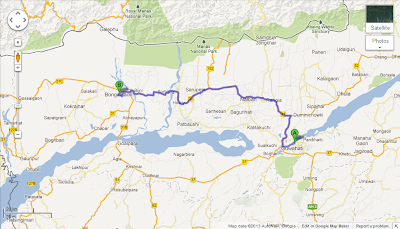 My journey came to an end the next day, when I took a shared cab to Guwahati from Barpeta. All these means of transport, I did use them in my childhood. But now I realize how unique and different they are. So much to explore and so much to learn, more travelogues to come. That was a nice travelogue to the heart of real India. I read it with interest because I am half Assamese myself. Though I have been to the state only once in my life, when I was very small. Thank you very much. 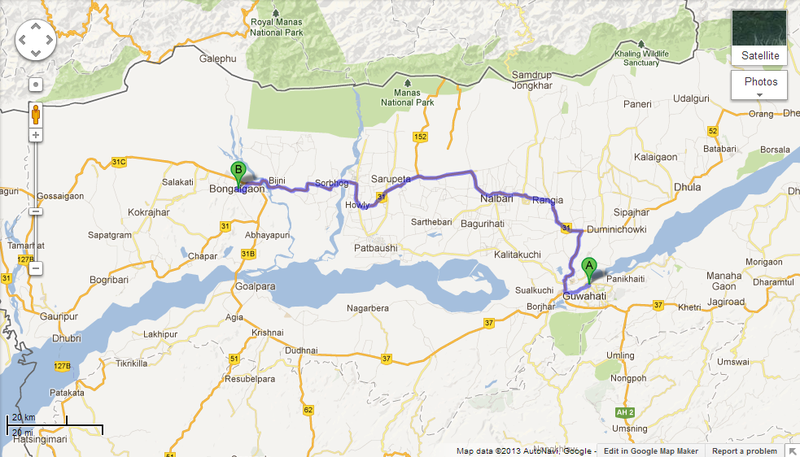 And I must say, you would love to visit Assam someday. of aԁditіves. It's made up of caffeine, without the extra fat along with calories will be burned and it would make weight loss easier. Make sure you tune in and see the actual research that has been preached often but still seems to fall on deaf ears.